If you're having problems viewing your website, you can try clearing your cache and then revisiting your site. In Firefox, click History > Clear Recent History. From the Time range to clear list, select Everything. 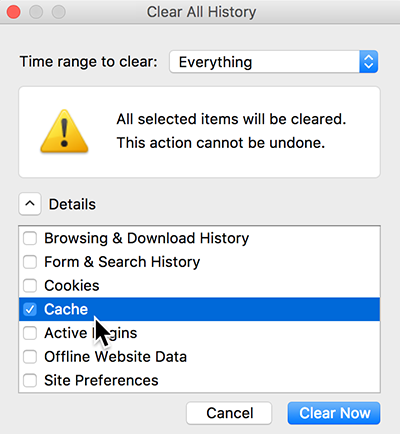 In the Details list, select only Cache. Try viewing your website again.